AMD FirePro™ R5000 remote graphics is AMD's second generation PCoIP based solution for remoting multi-monitor workstation computing experiences. Its sophisticated transmission and compression capabilities enable a true PC experience with full multi-monitor 3D and video support. Delivering uncompromised quality of graphics and a user experience on par with physical desktop workstations, AMD FirePro™ R5000 is capable of remoting up to four 1920x1200 resolution displays per user (requires compatible Teradici based client device, e.g. Dell Wyse P45). AMD FirePro™ R5000 is a flexible, manageable and secure solution for powering remote workstation computing experiences. With AMD FirePro™ R5000 remote graphics centrally located in the data center, IT can accommodate flexible seating arrangements and get employees up and running more quickly. 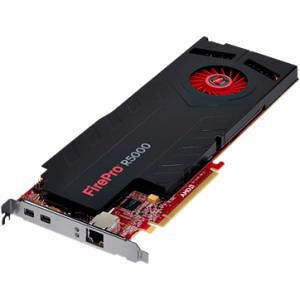 Because the remote graphics cards sit securely in the data center, AMD FirePro™ R5000 can help IT protect corporate IP and keep sensitive data safeguarded, intact and uncompromised. Data never leaves the data center and all transmissions are encrypted.